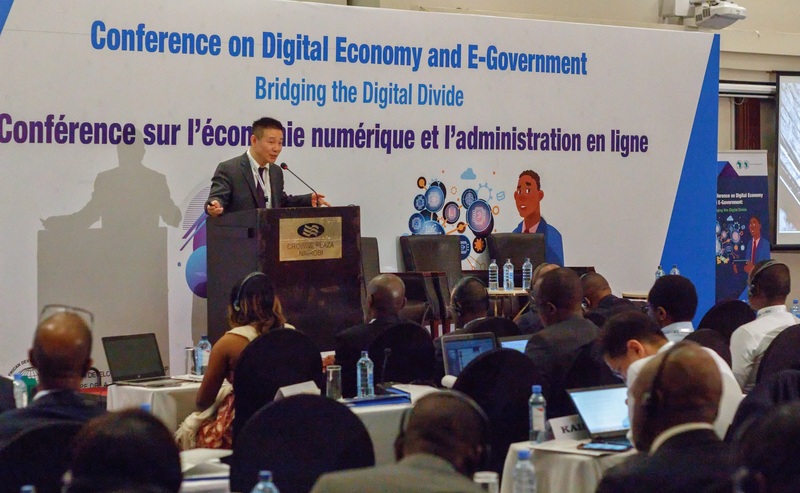 This platform brings together policymakers who recently attended a regional conference for the Central and Eastern Africa Regions on “Digital Economy and E-Government: Bridging the Digital Divide” from 19 – 21 February 2019 in Nairobi, Kenya. The main objective of this policy dialogue was to enhance the capacity African governments and policy makers in e-government solutions to improve the efficiency of key public services. The conference thus improved their knowledge of e-government and discussed policy options to improve the quality and efficacy of public service. The topics discussed aimed at sensitizing participants on ICT based quality solutions such as the Fourth Industrial Revolution (4IR) and its impact on the future of work in Africa; big data in action for governments; digital identity and its applications; and block chain for development. Discussions focused on ways of leveraging on technology; digital economy for regional integration; government workspace modernization; data protection and regulation; and smart factories. 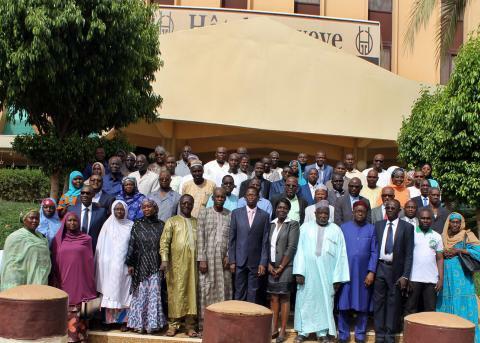 L’Institut africain de développement (ECAD), le département des Services fiduciaires (SNFI), le département du Contrôle financier (FICF) en étroite collaboration avec le Bureau national de la Banque africaine de développement au Niger (CONE), ont organisé à Niamey, au Niger, du 9 au 12 juillet 2018, un atelier de renforcement des capacités au profit des cellules d’exécution et des structures de l’administration publique impliquées dans la mise en œuvre des projets cofinancés par la Banque. L’objectif de cette clinique fiduciaire est d’analyser en profondeur les difficultés rencontrées dans l’exécution du portefeuille du Niger, et de discuter des mesures d’amélioration, notamment des questions liées aux acquisitions, à la gestion financière et aux décaissements afin d’accroître la performance de l’exécution des projets et d’atteindre les objectifs de développement. L’atelier répond ainsi à l’une des principales recommandations de la dernière revue du portefeuille conduite en avril 2018. Dans son allocution d’ouverture, Mahaman Aba, secrétaire général adjoint au ministère du Plan du Niger, a exprimé sa reconnaissance à la Banque pour l’organisation de cet atelier. Cette clinique fiduciaire permet en effet de répondre de façon immédiate aux différentes préoccupations et de résoudre les problèmes majeurs liés à la gestion et aux fonctions fiduciaires. Plus tôt, Nouridine Kane Dia, responsable pays de la Banque pour le Niger, a, dans son mot de bienvenue, souligné que cet atelier s’inscrivait bien dans le cadre global de la Stratégie de renforcement des capacités nationales de la Banque africaine de développement. Il a également traduit l’engagement de la Banque à accompagner les efforts de ses pays membres régionaux pour assurer une mise en œuvre efficace et efficiente des projets. Pour le cas particulier du Niger, cette clinique vise à améliorer de manière significative la performance des opérations et la qualité du portefeuille de la Banque. Nouridine Kane Dia a précisé qu’à la fin de la formation, des résultats spécifiques étaient attendus, comme la bonne exécution des plans de passation des marchés, la tenue d’une comptabilité de projet conformément aux normes professionnelles, la gestion rationnelle et efficace des ressources de projets, la soumission des rapports d’audit des projets dans les délais requis, l’exécution effective des recommandations des plans d’action issus des différentes revues effectuées par la Banque dans les domaines de la passation des marchés, de la gestion financière et du décaissement, ainsi que l’augmentation du volume de décaissement dans les projets. Enfin, le responsable pays de la Banque pour le Niger a vivement exhorté les participants à prendre part activement aux travaux, tout en espérant que l’atelier constitue un moment privilégié d’échanges et de partage d’expériences avec les experts de la Banque. Animée par Ba Samba-Dioum (SNFI), Fulbert Egnile (FICF) et Sylvain Coulibaly Gnegnery (SNFI), cette clinique fiduciaire a regroupé près de 70 participants issus des cellules d’exécution des opérations de la Banque, ainsi que des cadres des ministères de tutelle. La coordination et la facilitation de l’atelier ont été pris en charge par Hortense Tchié (ECAD). In line with the High 5s, the African Development Institute (ECAD) in collaboration with the African Legal Support Facility (ALSF), the Eastern Africa Regional Center (RDGE) and the Sudan Country Office (COSD) conducted a capacity building workshop on “Scaling up Public Private Partnerships for the Energy Sector” for practitioners in Khartoum, Sudan from 8-12 July 2018. 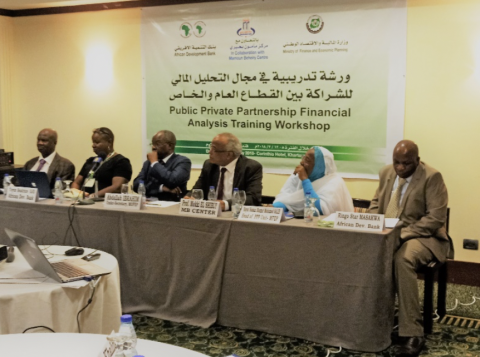 The objective of the workshop was to strengthen the legal and financial capacities of key PPP stakeholders in Sudan on how to initiate, implement and maintain PPPs in energy Sector. PPPs are innovative financing mechanisms in meeting the growing demand for infrastructure investment in Africa estimated to exceed US $50 to 70 billion annually. Thus, the workshop is crucial in generating and disseminating knowledge to transform Sudan’s economy, build enduring institutions and strengthen policy-making capacity. Based on demand, the five-day workshop training specifically covered critical topics and contents on PPP policy, legal, regulatory and institutional framework. The workshop also focused on project identification, structuring, procurement, feasibility, insurance, risk management and financing. Case studies, exercises, simulations, group discussions, e-Learning, videos, presentations and role-plays were held to enhance effective knowledge transfer during the workshop. A total of forty participants (40% being women) were drawn from the Ministries of Finance and Economic Planning, Water and Energy Resources, Transport, Industry as well as the Private Sector and Civil Society. 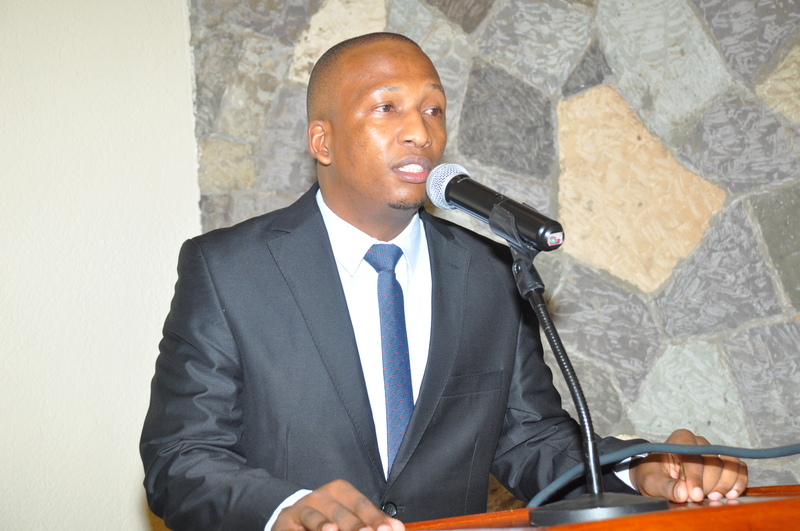 In his opening remarks, the country’s Under-Secretary Abdallah Ibrahim, said that he was impressed with the professional training accorded to the PPP Unit. With the lifting of sanctions, he underscored that sound policies combined with political support were crucial in driving growth and development in Sudan. He further highlighted the major role played by the private sector. Abdallah Ibrahim extended his country’s appreciations to the African Development Bank for delivering a high quality workshop. The Director of PPP Unit in the Ministry of Finance and Economic Planning, Hayat Hassan Shamat Salih, echoed the importance of the African Development Institute in disseminating knowledge in public-private partnerships in Sudan. She outlined that since 2015, the government adopted comprehensive laws and programs to improve the climate for PPPs and unlocking private sector barriers. Participants were encouraged not only to seize the opportunity but also to leverage the knowledge and skills to be acquire in order to shape the destiny of the country through PPPs. 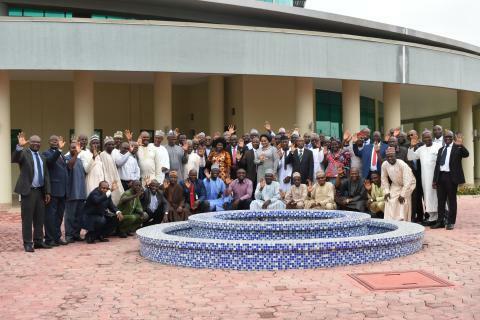 The Program and Knowledge Management Division of the African Development Institute (ECAD.1) has launched its new approach to building capacity for project implementation in Abuja, Nigeria. The newly minted Institutional Capacity and Fiduciary Clinic (ICFC) is a holistic approach that combines country capacity building, institutional capacity and leadership capacity of project staff. The first workshop of its kind took place in Abuja, Nigeria from 2 – 5 July 2018 in collaboration with the Nigeria Country Department (RDNG). Though the core mandate of the African Development Bank is development financing, ECAD recognizes that achieving the High 5 Agenda of the Bank depends critically on the depth and wealth of our knowledge and capacity, the development challenges facing the Continent and individual African Regional Member Countries (RMCs). In addition to the previous approach that focuses on providing training on fiduciary issues of project implementation, the new approach adds strengthening capacity of the wider system in which projects are situated. These include formal institutional arrangements such as policies, laws, rules and regulations as well as informal norms, customs and other informal arrangements affecting development effectiveness. The new approach also captures the organisational arrangements and individual knowledge, skills and attitudes in project implementation. The overarching aim is to support, build and maintain strong interrelationship between actors in the sector/system. For this to work well, focus must be both on the interrelations between the organizations and individuals and groups of individuals. The objective of the just ended ICFC workshop in Nigeria was to reinforce the capacity of projects staff involved in the execution, management and follow up of projects and programmes financed by the Bank. Additionally, the workshop aims at strengthening the institutional capacity to deliver better on development issues in Nigeria. The Workshop combined skill development on fiduciary issues (procurement, contract management, disbursement and financial management) with soft organisational skills that are equally important in project implementation. It was also a forum to discuss wider economic issues in the external environment in which our projects are situated including leadership, team building, time management, change management and communication. Welcoming participants on behalf of the Senior Director Ebrima Faal, Country Operations Manager, Late Lawson reiterated that though Nigeria’s portfolio remains healthy, one cannot deny the fact that the country continues to wrestle with a number of issues relating to project implementation. He welcomed the timely launch of the new approach in Nigeria and highlighted the critical importance of the workshop in supporting the management of Bank-funded projects in the country. In his opening remarks, Chidozie Emenuga, Officer-in Charge of ECAD assured participants of the Department’s commitment to providing timely and relevant capacity that makes institutions stronger and better positioned to deliver on the Bank’s projects. Explaining the objectives of the workshop and the rationale for the institutional capacity building approach, Foster Ofosu, Capacity Development Officer at the Bank discussed the need to balance technical skills and intangible organisational skills in building institutional capacity. He urged the participants to take full advantage of new approach to enhance their skills to manage project implementation challenges. Sixty-two participants drawn from the Bank’s Agriculture sector projects in Nigeria participated in the workshop. The participants expressed their satisfaction with the approach and urged the Bank to provide more managerial skills in addition to technical skills needed to manage fiduciary issues in project implementation. L’objectif principal de cette formation est d’équiper les économistes des pays membres régionaux (PMR) de compétences avec divers modèles macroéconomiques qu’ils pourront ensuite appliquer à leurs environnements politiques. Les compétences ainsi acquises leur permettront d’aider leurs pays à formuler des politiques éprouvées, dérivant des modèles et des résultats de leur estimation. L’accent sera donc mis sur les modèles DSGE (Dynamic Stochastic General Equilibrium) car ceux-ci permettent une compréhension et une modélisation claires de l’interaction de nombreuses décisions macroéconomiques dans des contextes dynamiques et d’équilibre. Ces modèles permettront aux participants de tester les réponses économiques à divers chocs et politiques, de mener des expériences politiques, et d’évaluer les impacts économiques de leurs plans de transformation à moyen et à long terme. En outre, ces modèles capturent les principales particularités des économies africaines, telles que l’abondance des ressources, les liens entre l’investissement dans les infrastructures, le financement et la croissance, les frictions dans l’accès aux marchés internationaux des capitaux et bien d’autres. The main objective of this training is to equip Regional Member Country (RMC) economists with various macroeconomic models which they can apply in their policy environments and to enable them acquire the necessary modelling skills to be used to develop macroeconomic models for their countries. This will help these countries in formulating policies based on evidence derived from the models and their estimation results. Emphasis in this training will thus be placed on Dynamic Stochastic General Equilibrium (DSGE) models as they allow a clear understanding and modelling of the interaction of many macroeconomic decisions in dynamic and equilibrium settings. These models will allow participants to test economic responses to various shocks and policies, and to conduct policy experiments and assess the economic impacts of their medium-term and long-term transformational plans. Furthermore, these models capture the key peculiarities of African economies, such as resource abundance, infrastructure investment-financing-growth linkages, frictions in international capital market access and many others. 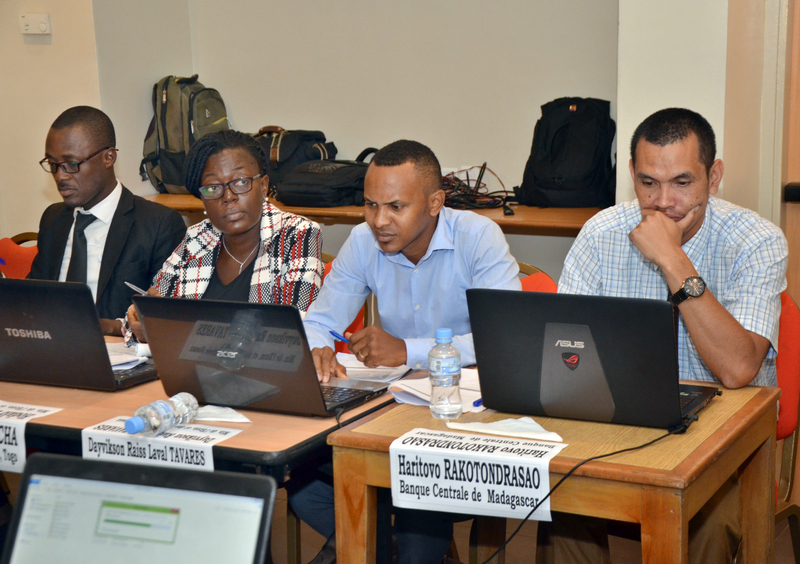 The objective of the course is to help participants to be able to proved timely positive advice while reviewing completed procurement cases submitted by borrowers. It wil also help participants to understand and maintain the highest fiduciary standards. The objective of the course is to train participants to gain a better understanding of the procurement rules and regulations of the Bank and to help develop the necessary skills to deal with the ever-increasing demands for procurement for the Bank-funded projects. 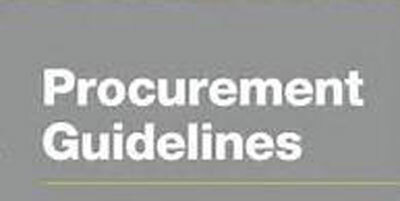 This is the first in the series of coures on the rules and procedures of procurement. This basic course focuses on the key concepts and the Bank’s rules for the procurement of goods, services and consultants. At the end the course, you will be able to gain a working knowledge on the ADB’s Procurement Rules for implementation of its projects, by Borrowers. While African countries are witnessing growth resurgence since the turn of the century, they have not achieved commensurate progress in poverty reduction. A key reason is that growth has not generated proportionate job creation and that growth has not been broad based. Strategies to accelerate poverty reduction must therefore involve a refocusing of macroeconomic policy on ‘real’ development goals, notably employment creation and inclusive growth, over and beyond the traditional short-term objective of macroeconomic stability. In this context, this course discusses innovative policies for generating growth that is inclusive and accompanied by employment creation and poverty reduction. The course is organized around the eight topics described below. Selected readings are provided under each topic. More documentation will be provided during the workshop.